In the media: What have the Moriwaki-Althea HONDA Racing Team been up to? 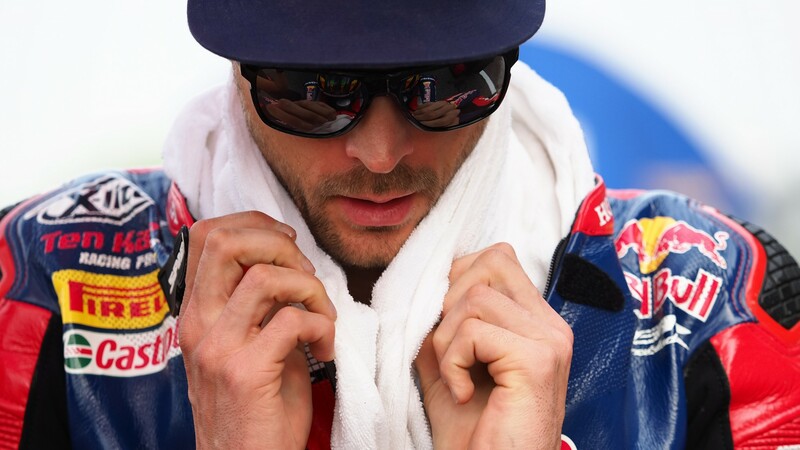 British media outlet MCN reported rumors about Camier and Kiyonari having tested closed doors in Thailand. Anticipation continues to arise as there are less than three weeks left before the 2019 FIM Superbike World Championship season will officially kick off in Australia this month. And, after the last four days of pre-season testing at Jerez and Portimao where we saw stiff competition, similar paces and determinate riders ready to bring on the fight to reigning World Champion Jonathan Rea (Kawasaki Racing Team WorldSBK), there is even more expectation ahead of the first round of the year that will be held at Phillip Island from 22nd – 24th February. Despite the Nothern Irishman finishing at the top of the timesheets on both of the two tests many of his rivals also impressed, meaning that this year Rea and Kawasaki will probably have a harder time of it. The factory Kawasaki, Ducati, Yamaha, and BMW teams were all there in Southern Spain and Portugal to confirm the good progress they were able to make over the winter. But there aren’t just four manufacturers, which will be aiming for the title this year. Honda will also be there with a completely new structure directly supported from Japan. The newborn Moriwaki-Althea HONDA Racing Team, which will be backed up by HCR, will count on the strong line up of Leon Camier and Ryuichi Kiyonari for 2019, who are both riders with experience on the Honda CBR1000RR. The British rider will head into his second season with the Japanese machine, while the Japanese riders will return to WorldSBK this year after nearly ten years. For now, we still haven’t got the chance to see them on track, as the team didn’t take part to both the test held in November and the four days of test at Jerez and Portimao. So what have they been doing until now? According to the British media outlet Motorcyclenews.com the Moriwaki-Althea HONDA Racing Team took to the track at the end of January, testing behind closed doors in Asia at the Chang International Circuit, in Thailand, which will host the second round of the season in March. But, after this mysterious shakedown test for Camier and Kiyonari, we won’t need to wait too long to finally see them on track. From 18th-19th February, just before the start of the first race weekend of the year, we will finally be able to see where the Moriwaki-Althea HONDA Racing Team stand during the two-day official pre-season test which will be held at Phillip Island. Don’t miss the Moriwaki Althea Honda Racing Team’s debut at Phillip Island Official WorldSBK Pre-season test, follow it with the WorldSBK VideoPass.